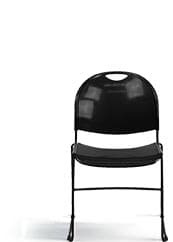 StackChairs4Less.com offers free shipping on many items to our customers anywhere in the contiguous United States. We have 3 locations across the country to serve you better and ship our products from the location nearest to you. Items not shipped directly from our warehouses are drop shipped directly from the manufacturer to you. Your order is securely packaged (boxed, banded, reinforced and/or shrink-wrapped as appropriate) and transported by FedEx, UPS or quality freight carrier, as determined by the size and weight of the shipment. To minimize damage during transport, many items are shipped "Ready to Assemble". Instructions and all the hardware necessary, with the exception of wood glue, are included. A physical street address is required for any delivery. We do not ship to P.O. boxes. Please call us at 1-855-307-3860 for assistance placing orders that will be transported by freight forwarders. What does "Ships in 1 Day" mean? Ships in 1 Day means the item is in stock and usually leaves our warehouse within 24 hours on regular business days. Very large orders may require multiple shipments. Orders submitted over the weekend will be processed the next business day. How long will my item take to ship? With the wide array of products we offer, different items ship at different times from multiple locations. We provide estimated ship times on our website. If delivery time is a critical factor, please contact Customer Service . Many of our items ship free within the contiguous United States and are marked FREE SHIPPING or FREE SHIPPING on 50+ of this item. Most orders will ship via UPS or FedEx. Larger items or larger orders will be transported on a semi-truck via freight carrier. See Freight Quote for more information. Items that do NOT qualify for free shipping will incur shipping charges. You may see messaging such as "Shipping Charges will Apply" or "Additional Shipping Charges will Apply" on the product pages of our website or in your shopping cart. We attempt to calculate your shipping charges during the checkout process. If the shipping charges for your order cannot be determined during checkout, you will receive a shipping quote via email within 24 hours of placing your order on regular business days. If you prefer to receive the shipping charges before placing your order, submit a Shipping/Freight Quote Request. You will receive a shipping quote via email within 3-4 hours on regular business days. You will also receive a quote number that you can reference in the comments section when you place your order. If your order requires shipping charges and is submitted over the weekend, we will provide your quote at the first opportunity on the next business day. Your order will not be processed until you approve the shipping charges. Orders to Alaska, Hawaii and Canada will incur additional freight charges. Shipping charges to Canada will vary depending on the size and weight of your order. To receive a Shipping/Freight Quote before placing your order, contact us and provide your order details. Canadian customers are responsible for applicable taxes, duties and brokerage fees.